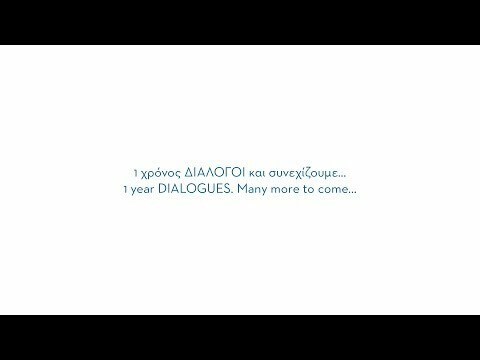 The Stavros Niarchos Foundation’s (SNF) monthly series of events, DIALOGUES, completes one year since its establishment! Astronomy, football, beginnings, fashion, stereotypes, food, love are only some of the themes explored in the monthly DIALOGUES meetings over the past year. Each month a different theme, a new interaction between individuals and ideas. In their new phase, the DIALOGUES series, alongside individuals who inspire others through their work, will experiment with new themes and will travel, near of far, to various locations across Greece and beyond. DIALOGUES delve into different themes that cut across the key pillars of the Foundation’s work: Arts and Culture, Education, Health and Sports, and Social Welfare. Through this series of events, which are free and open to the public, the SNF seeks to catalyze conversations around critical issues, create a platform for the exchange of ideas, present individuals who inspire a new way of thinking, and encourage collaboration among individuals and organizations across the globe. Furthermore, events are live streamed via www.SNF.org/live and are available on demand in both video and podcast format on the SNF’s website.